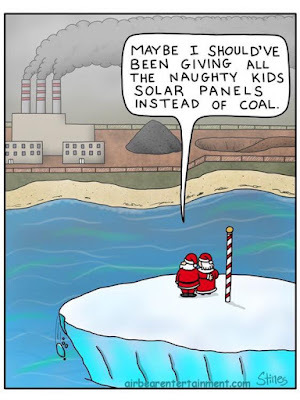 Who's Burning the Fossil Fuels? 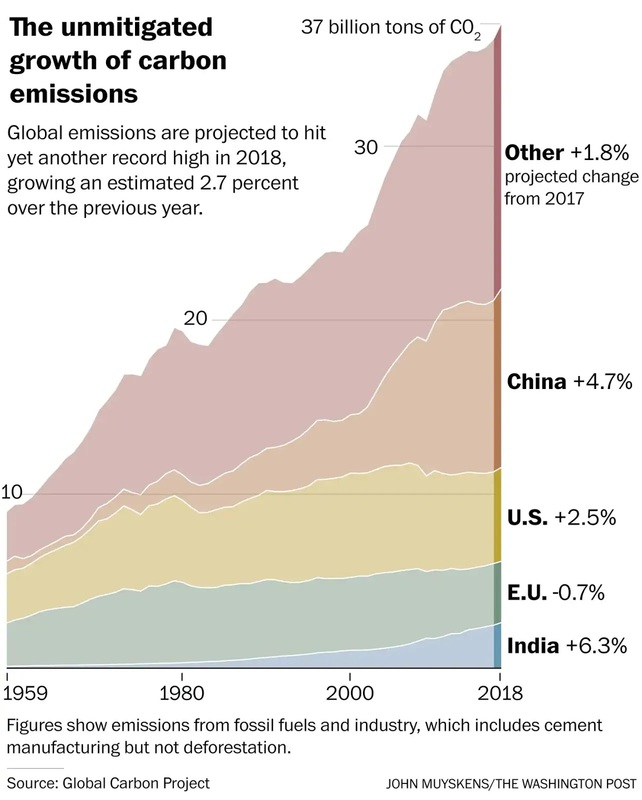 It's hard to see much hope that global emissions are coming to a peak, though the trend is lower this decade. Coal is still the predominant source of carbon, and its peak may be reversing. About 10% of China's emissions are for products consumed in other countries. Current per capita emissions for the globe is about 1.2 t/yr -- so the US emits as if it were an average country of 900 million people. US per capita emissions peaked around 1975, and EU28's (the full European Union) around 1980. But US emissions rose again and almost reached a new peak around 2000, whereas the EU's have been on a steady decline since peaking. The decline for both is about 30%. Some fossil fuel advocates snicker than the US has decreased its carbon emissions more than any other country so we deserve a gold star on our forehead, but that's only because we started out with much higher emissions in the first place. Percentage wise it's the same between the US and EU. And it's a dumb argument anyway because we still emit far more per capita than anyone else, as if (they seem to think) Americans have some god-given right to do so. per capita emissions for the globe have stayed remarkably close to flat for 60 years. It's almost as if the increases from China and India have been offset by the US and EU and everyone else has stayed flat/impoverished. 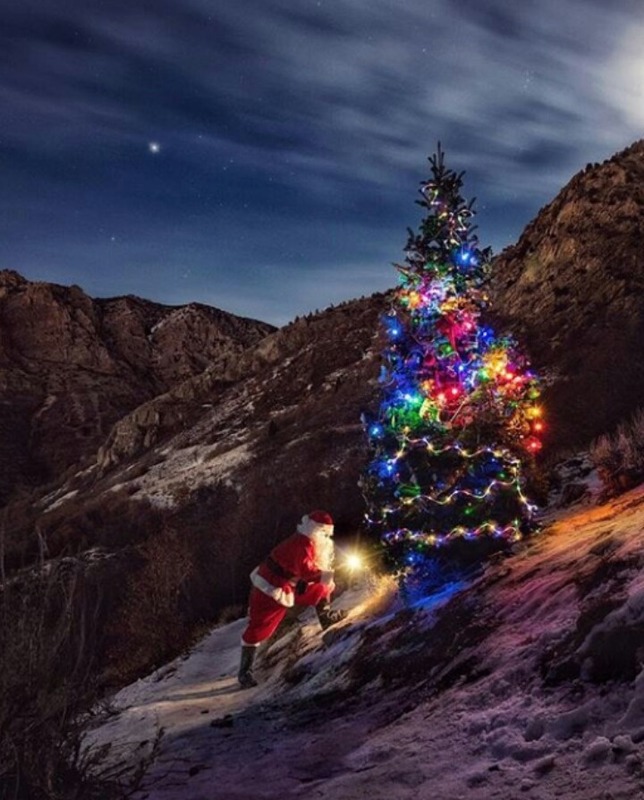 Merry Christmas, whatever you are (or aren't). Recently I realized why I don't get many comments on this blog -- I don't blog about open-ended issues. I certainly appreciate the comments I do get. But here I tend to present graphs, papers, findings, which have little wiggle room. (And, I don't present them as if there's much wiggle room.) But blogs like And Then There's Physics and Stoat do more opinionated posts that leave lots of room for discussion and disagreements or other points of view. I'm not very good at that. I'll admit, I'm not really a deep thinker and am more interested in the math and the data and the minutiae. That's just who I am. I find numbers more attractive than words or, even in some sense, ideas. Numbers make much more sense to me than words, even as a writer -- I can't diagram a sentence to save my life, barely know what an adverb is, let alone a preposition, and couldn't even do that when I was in 10th grade. I took a college summer class in linguistics after my junior year to fulfill an elective, and none of it made any sense to me at all, and I got a "C" that ruined the 4.0 grade point average I'd had up until then. I wish I was more versatile in big, deep picture thinking, but I've never really been so, even, I think now, when I was doing research in graduate school. Not happy to admit that. It was probably a good thing that I didn't stay in physics -- though I might possibly perhaps have made it somewhere at a very small college teaching physics to pre-med majors -- but neither does science writing have a big calling for number geeks -- we're too slow, if nothing else, trying to figure out the units. I guess I'm not really fit for much of anything. 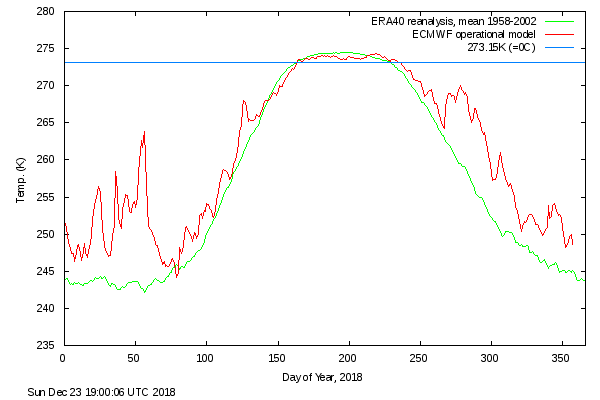 Here's a nice comparison of Arctic warming -- north of 80 deg north latitude -- comparing 1958's average temperature to 2018's. (Source.) 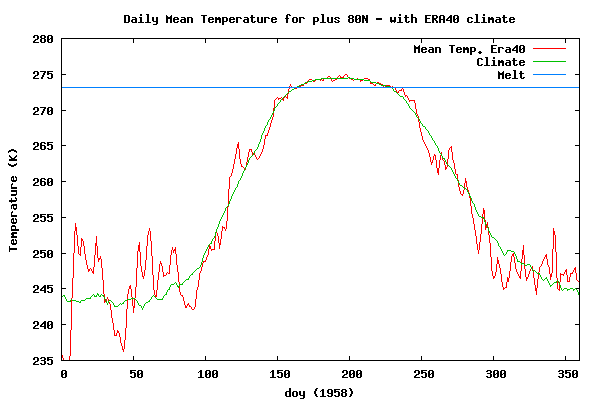 The warming is obvious, and stark. "Two hours from his office, her car crests the cliff road and the church steeple juts into view. The rest of town follows, hunched in rucked hills sloping to the water. Smoke coils from the pub chimney. Fishing nets pile on the shore. In Newville you can watch the sea eat the ground, over and over, unstopping. Millions of abyssal thalassic acres. The sea does not ask permission or wait for instruction. It doesn’t suffer from not knowing what on earth, exactly, it is meant to do. Today its walls are high, white lather torn. 'Angry sea,' people say, but to the biographer the ascribing of human feeling to a body so inhumanly itself is wrong. The water heaves up for reasons they don’t have names for." Greta Thunberg of Sweden, 15-years old. The Japanese Meteorological Association found the average global surface temperature for Nov 2018 to be the second-warmest November in their record, which goes back to 1891. 2018 is almost certainly going to come in as their 4th warmest year. NASA GISS found Nov 2018 to be the 5th-warmest in their record (which starts in 1880), and 2018 will also be their 4th warmest year unless there's an humongous asteroid strike almost immediately. GISS's land-only annual average surface temperature is going to be at or greater than 1.0°C, which would make the third year in a row. The land is warming rapidly -- the 15-yr trend is +0.26°C/dec, and 30-yr trend is +0.24°C/dec. We're approaching 1/2°F land-warming every decade. I don't think Americans really get that. If you're an American not well-versed in Celsius-thinking (and I'm not, completely; I mean I can do the conversions, but I don't have an intuitive feel for X°C; I have to think about it for a couple of seconds*), if you hear the IPCC or a climate scientist talk about a (say) 2°C warming, you should multiply that by 3 to get the land-only warming in Fahrenheit**. *my basic scale is 10°C is a cool day, 20°C is a nice day, and 30°C is a hot day. **First multiple the global average by 1.5 to get the land-only average warming, then by 9/5 to get the number in Fahrenheit. (1.5)(9/5)=27/10 = almost 3. Note: Y2K was an issue. There were few problems not because it was hyped or overestimated, but because business spent about $100 billion to fix potential software problems beforehand. It's really a great success story, but some people insist on saying it was all a hoax or unnecessary alarmism. Instead it was healthy alarmism, with a potential disaster avoided by a lot of hard work. Added: I don't know why there was a jump step circa 1980. It doesn't necessarily represent anything social; it might have been some change in the amount of cash banks were required to keep on hand. Anyone know? This is old news, but I might want to refer to it later. "What is considered the best presently available climate model for treating the Greenhouse Effect predicts that a doubling of the CO2 concentration in the atmosphere would produce a mean temperature increase of about 2 C to 3 C over most of the Earth. 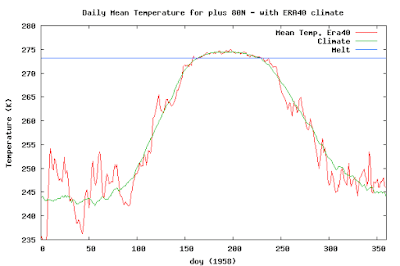 The model also predicts that the temperature increase near the poles may be two to three times this value. - J.F. Black, Products Research Division, Exxon Research and Engineering Co.
Zeke Hausfather, now at Carbon Brief, shared the poster he's presenting today at the AGU Fall Meeting in DC. presentation of the Hansen graphs. I assume he put the actual forcings that occurred into Hansen's projections, instead of what Hansen assumed. I don't know what models Zeke's considering here, but there were only a few big models that cover that time period -- see the IPCC ARs of the period. We didn’t actually rerun old models with modern forcings. Rather, we evaluated models on the basis of the ratio of model warming to model forcings, which mostly normalized for misspecified future forcings (see the bottom panel of the figure). So I was looking at the latest sea level data from AVISO in France. A recent publication found that sea level rise is accelerating, at 0.084 ± 0.025 mm/yr2 (In just the satellite era.) I get 0.061 ± 0.007 mm/yr2 when I fit the data to a second-order polynomial (the same method used by Nerem et al, the paper mentioned in the previous sentence. ), but I'm sure my error bar (2σ) is too small because I didn't include autocorrelation. Anyway, I get about the same number they do. The acceleration changes relatively slowly, but once it starts changing it takes some time to stop. It has a lot of inertia, you might say. 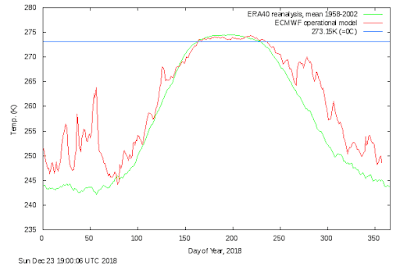 So its slight upturn now will probably continue into larger values,especially since we're entering an El Nino -- see the 2015-2016 period in the graph, with its monster El Nino. This is impressive, and from a country whose per capita CO2 emissions are 11% of Americans'. A new study says 1940s and 1950s earthquakes in Los Angeles were likely caused by WW2-era oil extraction. The article's link has an interesting picture of oil derricks right up next to Huntington Beach. Up to 9 billion barrels came out of the ground -- about what the US now produces in years. The article says the oil companies knew they were causing earthquakes, because of smaller and more frequent earthquakes in their oil fields. ('Course, they didn't pay for the damages they did. Maybe no one complained back then because "oil fueled the growth of Los Angeles from 50,000 people in 1890 to 1.5 million in 1940." 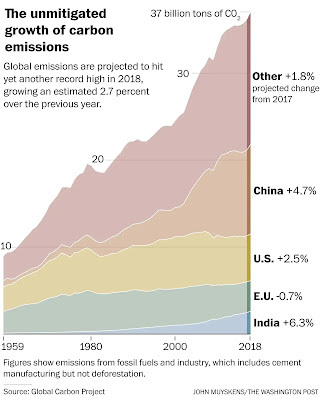 So the big news of the day is that 2018's global CO2 emissions are projected to be 2.7% above 2017's number. That is, indeed, not good news. It's a fairly big number. It will deflate a lot of hopes. FRED says only that, strangely, 2015 World GDP was -5.6% lower than 2014's. I've seen this before and it mystified me then, too. So I can't compare 2017's World GDP to 2016's. Why the increase? Part of it is the increase in US CO2 emissions that I wrote about earlier, running about 1%. Part of it is about China's increased emissions. And then India's too. These Big-3 cover most of what's going on.... After a quick read, I don't see where they give the recent annual increases by country, but I might change my mind after a 2nd reading with fresh eyes.... I hope I'm wrong about this, but if not they've been irresponsible. The problem is that from 2013-2015 global CO2 emissions seemed to be flat. People misattributed this (apparently) to a permanent decrease in global burning of fossil fuels, but that was clearly not true when the year-over-year increases in 2017 were 1.6% over 2016's value. Then the yellow jackets in France are protesting higher fuel prices due to carbon taxes. I think a carbon tax-and-dividend would handle this nicely, and even alleviate poverty, but no politicians have enough foresight and bravery to offer one. So it's no surprise they are going to get pounded on such taxes. How can these emissions be calculated so exactly? Because oil, natural gas and coal cost money!, and these billings from large companies are relatively easy to add up. And because carbon people have a pretty good idea of how land use changes -- like turning a forest into a field, or building in a city -- count towards carbon emissions. I'm sure it's not easy work, but it's not especially complicated, either. There was an even earlier, significant warning about carbon dioxide, than that in 1965 from the American Petroleum Institute. It came from Edward Teller in 1959. "Carbon dioxide has a strange property. It transmits visible light but it absorbs the infrared radiation which is emitted from the earth. Its presence in the atmosphere causes a greenhouse effect in that it will allow the solar rays to enter, but it will to some extent impede the radiation from the earth into outer space. The result is that the earth will continue to heat up until a balance is re-established. Then the earth will be at a higher temperature and will radiate more. It has been calculated that a temperature rise corresponding to a l0 per cent increase in carbon dioxide will be sufficient to melt the icecap and submerge New York. All the coastal cities would be covered, and since a considerable percentage of the human race lives in coastal regions, I think that this chemical contamination is more serious than most people tend to believe." Dean Brown: Here is another clarifying question. Would you please summarize briefly the danger from increased carbon dioxide content in the atmosphere in this century? Dr. Teller: At present the carbon dioxide in the atmosphere has risen by 2 per cent over normal. By 1970, it will be perhaps 4 per cent, by 1980, 8 per cent, by 1990, 16 percent, if we keep on with our exponential rise in the use of purely conventional fuels. By that time, there will be a serious additional impediment for the radiation leaving the earth. 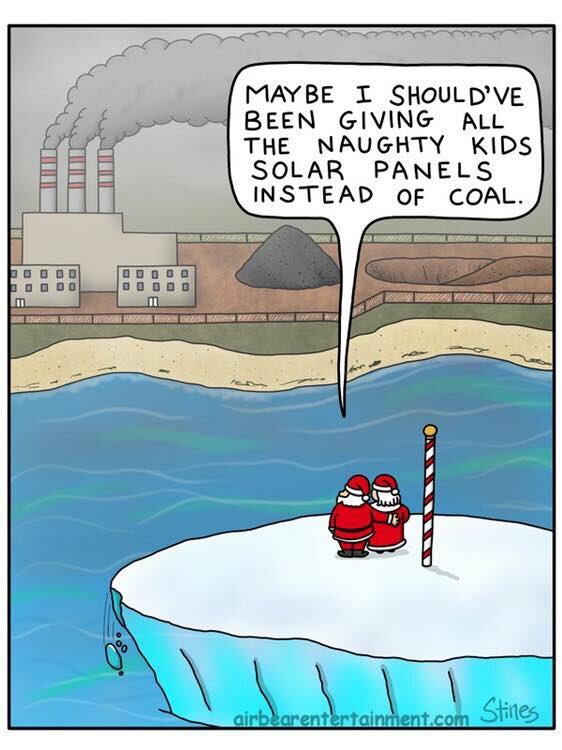 Our planet will get a little warmer. It is hard to say whether it will be 2 degrees Fahrenheit or only one or 5. But when the temperature does rise by a few degrees over the whole globe, there is a possibility that the icecaps will start melting and the level of the oceans will begin to rise. Well, I don't know whether they will cover the Empire. State Building or not, but anyone can calculate it by looking at the map and noting that the icecaps over Greenland and over Antarctica are perhaps five thousand feet thick. Teller wasn't pessimistic enough. In 1970 atmospheric CO2 was 16% above the preindustrial value, 21% in 1980, and by 1990 it was 27%. This was almost six decades ago. Scientists knew. The oil industry knew. The Lyndon Johnson administration knew. A large research program should have been set up then, and something like the IPCC. Those denying a CO2 role should be ashamed of themselves.